Supplying Leased Lines to many of our top clients in the last 12 – 18 months has resulted in Missing Link having buying power that well exceeds a company of our size, enabling us to take these leased line savings and pass them on to more clients and channel partners. We provide dedicated Ethernet leased line connectivity to many of our clients, this brings speeds from 2Mbps right up to 10Gbps. Whether your business is hungry for voice, data or internet connectivity an Ethernet Leased line will always be the right solution for any business. It is a direct connection from the network over fibre it offers reliability and resilience. The speeds offered will be symmetrical up and down and bandwidth is scalable up and down as your demand increases. Our Ethernet service uses pro-actively monitored Cisco kit and is scalable with demand, in addition to being SIP enabled. Ethernet provides you with connectivity via the closest exchange, cabinet using the existing copper infrastructure between your premises, not dissimilar to fibre broadband. Unlike Fibre Broadband though, the traffic then passes onto an Ethernet network rather than a broadband network. 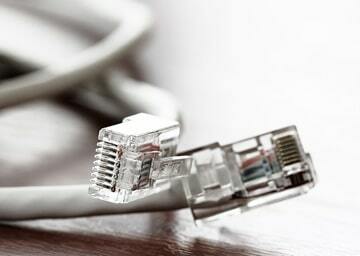 Ethernet therefore offers you an uncontended, dedicated connectivity solution, Missing Link's Ethernet service is based on Service Level Agreements (SLA’s). Friendly support via our UK based support desk 7 days a week, we will aim to answer your call in seconds.